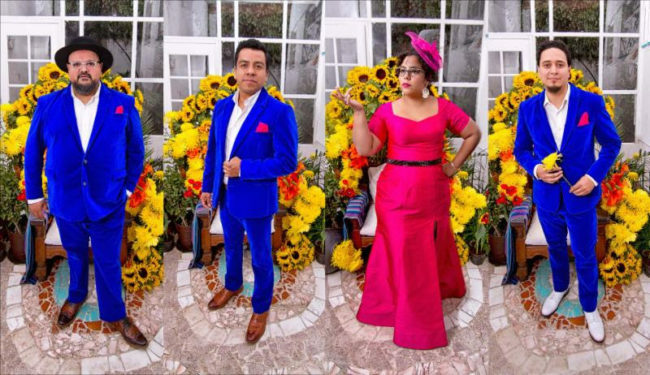 La Santa Cecilia "Amar y Vivir"
Set for release on May 12, the heartfelt project is a tribute to both the Los Angeles GRAMMY winning band’s Mexican roots and early start as street performers. With live performances filmed and recorded at significant locations across Mexico City, the audiovisual album documents La Santa Cecilia paying homage to some of the greatest Latin American songwriters of our time. Amar y Vivir – translated “Love and Live” – is the first installment from their upcoming project, also entitled “Amar y Vivir,” that takes you on a journey through the band’s Mexican roots with an unforgettable live experience. The entire album is jam packed with covers from some of the greatest Latin American songwriters of our time. Title track Amar Y Vivir is a song originally made popular by Consuelo Velázquez, one of Mexico’s best-known composers who wrote the ageless standard and famous bolero,”Besame Mucho.” La Santa Cecilia recorded their version of the song at “El Imperial” LIVE in Mexico City, which harkens back to romantic clubs from the 30’s and 40’s. Leña de Pirul was originally written by Tomas Mendez, a famous ranchera singer-songwriter and reached a new generation when Banda Machos recorded a new version. 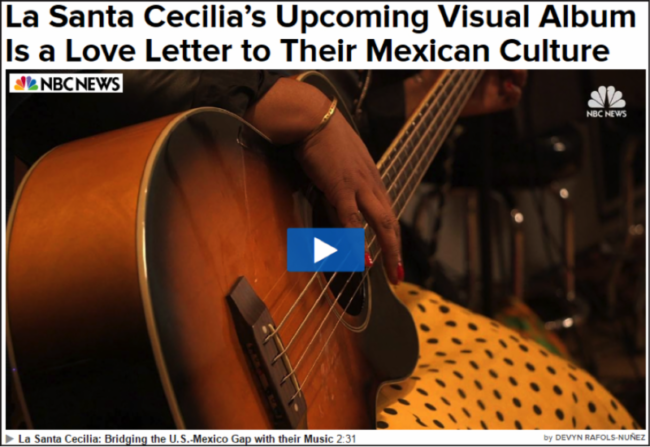 La Santa Cecilia recorded the song on a side street leading up to the famous Plaza Santo Domingo in Mexico City. This song is the embodiment teenage nostalgia for many first generation Latino millennials in the US.